8'' wooden letters for wall decor - these painted brown or cherry wooden letters will be perfect for baby nursery decor, custom wooden home decor as well as for wedding decor. These wooden letters are made of birch plywood and we offer them polished with natural pigmented beeswax (rustic/brown or cherry) - you can see the samples in the last photo. It is also possible to order them without any wax polish if you want to paint or color them by yourself. They have a satin smooth surface, no sharp edges. 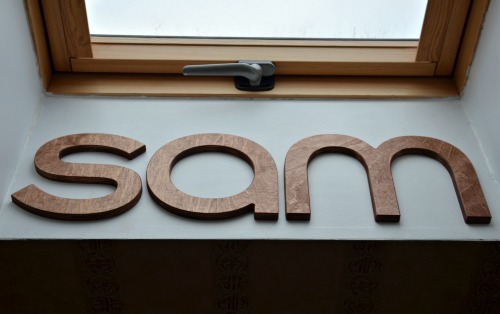 The wooden letters are not free standing, they are perfect for wall decor.